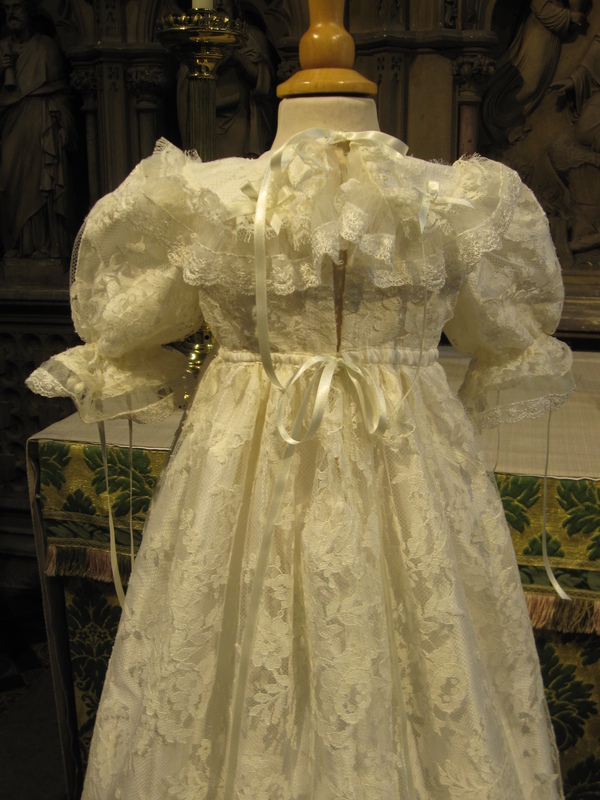 An heirloom designer Christening gown created from the finest of fabrics and laces. 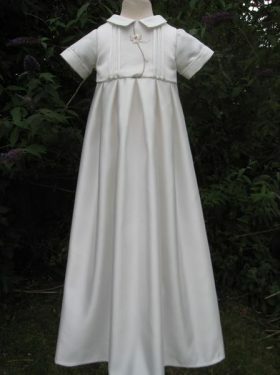 This gown is made with a silk dupon undergown. 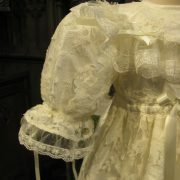 It is fullsome with 3/4 length puff sleeves. 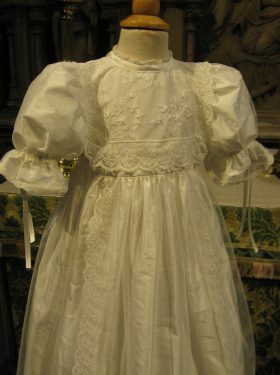 But it is the French Chantilly lace overgown that makes this s couture Christening Gown in every sense. 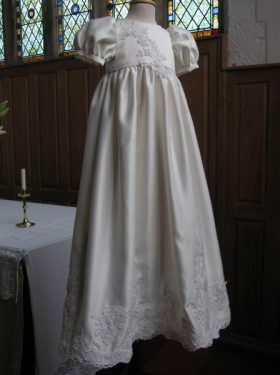 Frills, flounces and bows decorate the gown from the top to the hemline. 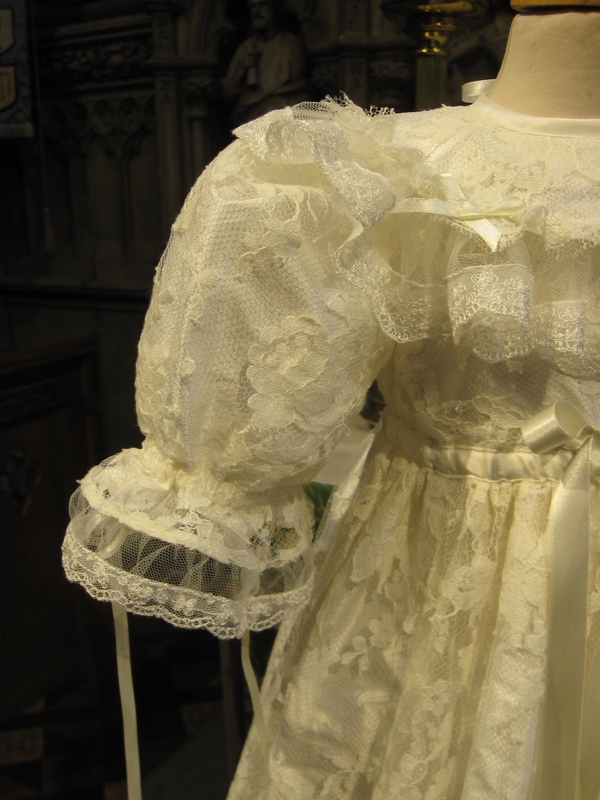 The Bodice is particularly striking with its frilled, rounded edging and collar. 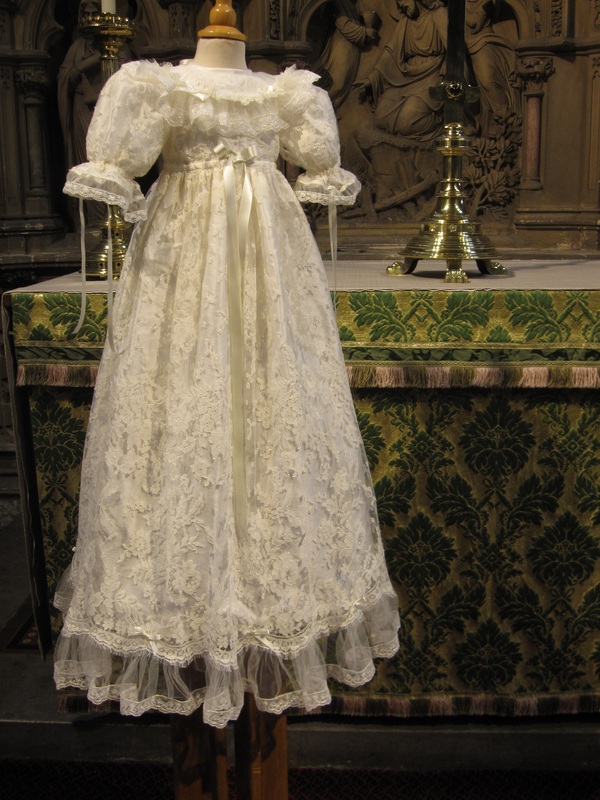 This is a beautiful masterpiece. 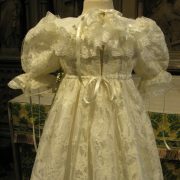 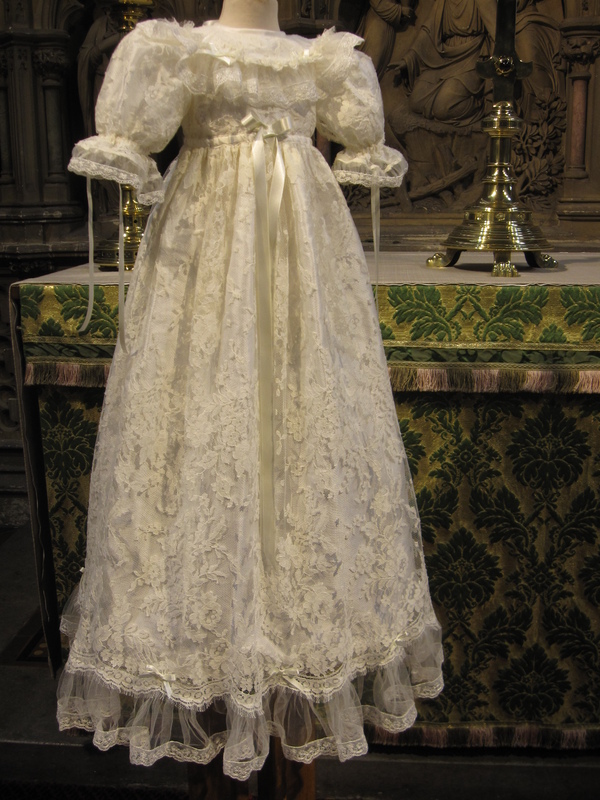 A perfect christening gown for a little princess. 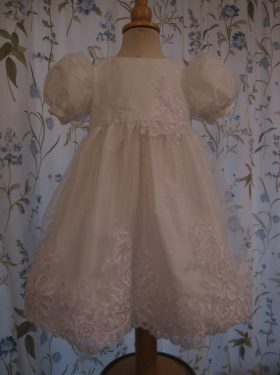 Bonnets, bibs and booties are also available for purchase from Little Doves. 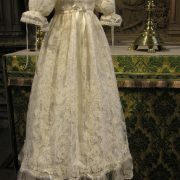 They will compliment the gown perfectly and will be created with the same fine laces and silks. 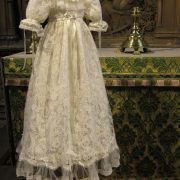 Please visit our accessories pages for further details.